The selection of a structural engineer is a critical component to the construction, efficiency, and overall cost of a structure. An experienced structural engineer will help you construct a building that is structurally sound and meets code while adding value to the overall project. Not all structural engineers are created equal. 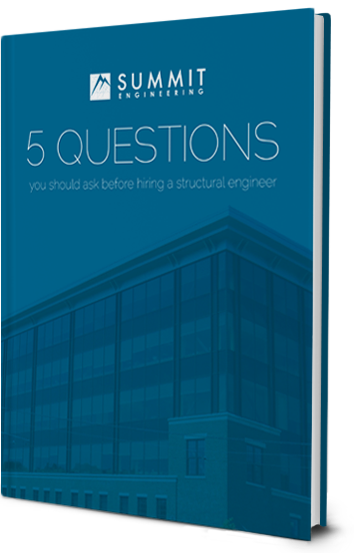 This ebook outlines five questions you should ask a structural engineer when considering your next project. Yes, I'd like to receive occasional tips on structural engineering best practices.